Beautifully open & spacious condo offers amazing location + privacy. 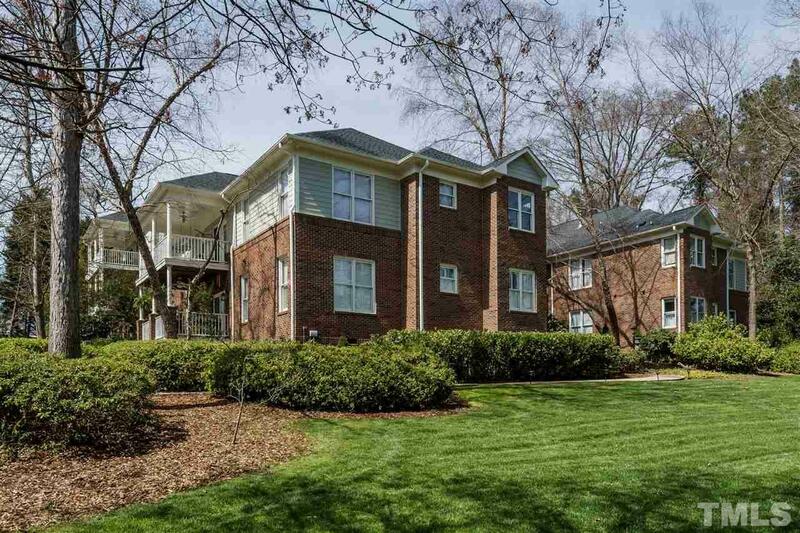 Easy access to Glenwood Ave & 440, close to Downtown yet in a quiet spot. Walk to shops & restaurants. Updated with beautiful cork flooring, this condo features main level "no steps" access, covered parking, storage & windows on 3 sides giving a light & bright feel. Elegant features such as 9' ceilings, custom style fireplace, spa-like huge master bath w/ garden tub; Sub Zero Fridge. Elevator to storage. Great to right-size vs downsize!